Shirts With Random Triangles: Tim Tebow Giving Special Needs People Their Own Prom Night With "Night To Shine." Tim Tebow Giving Special Needs People Their Own Prom Night With "Night To Shine." Tim Tebow sporting the Devil's Haircut. Tim Tebow went into the prom business last year - for a good cause, of course. For Valentine's Day weekend of 2015, His Tebowness' Tim Tebow Foundation organized a series of nationwide prom-style events for people with special needs. More than 7,000 people with special needs were given what may have been their first real prom experience. Called the "Night To Shine," 44 proms were held at the same time in 26 states, as well as in Uganda and Kenya. It gave special needs people their first prom experience, complete with limos, prom dresses and tuxes, and the chance for all the participants to be crowned Prom Kings and Queens. This year, "Night to Shine" has expanded to over 200 proms in 48 states and eight countries, all of which will be held on February 12. In an interview about the events with People, His Tebowness said that he was "so humbled and amazed by the way God has continued to grow Night to Shine." 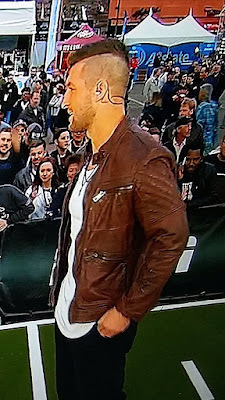 * Not to say there's anything wrong with Tebow's faux-hawk, but I haven't been able to get Beck's "Devil's Haircut" out of my head since the day of the CFP title game.